Bulgaria marks on July 20 Ilinden - the Day of St. Elijah or Iliya and the Name Day of Iliya, Iliyan and Iliyana. 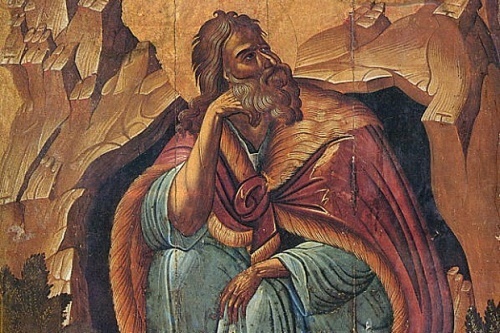 Elijah or Iliya was a prophet in Israel in the 9th century BC. According to the Books of Kings, Elijah raised the dead, brought fire down from the sky, and ascended into heaven in a chariot. Elijah is also a figure in various folkloric traditions. In Bulgaria, he is known as "Iliya the Thunderer" and in folklore is held responsible for summer storms, hail, rain, thunder and dew. Icons usually picture him riding in a gold-plated chariot, with four white horses in harness. There is also the wide-spread superstition in Bulgaria that the Black Sea takes people on Ilinden and swimmers should stay away from the waters to avoid the danger of drowning. In 2008, four people drowned on 2 August (Ilinden according to the Gregorian Calendar) near the most southern Bulgarian beach - Silistar. July 20 is also the 106th anniversary of the legendary Ilinden-Preobrazhenie Uprising that flared in order to unify territories populated with Bulgarians, but still not part of the independent Bulgarian state. In Bulgaria the revolt is commemorated on August 2, according to the Gregorian Calendar. The Uprising was an organized revolt against the Ottoman Empire prepared and carried out by the Bulgarian Macedonian-Adrianople Revolutionary Committee. The uprising took place in the Bitola vilayet (province) and the northeastern part of Adrianople vilayet - parts of the regions of Macedonia and Thrace. The rebellion in the Bitola vilayet was proclaimed on 2 August (Gregorian Calendar, which corresponds to 20 July of the Julian Calendar) 1903, Ilinden or St. Elias' Day, the celebration of the ascension of the Prophet Elijah to Heaven. The Adrianople vilayet joined the uprising on 19 August 1903, the Transfiguration or Preobrazhenie in Bulgarian. Although the rebellion in both regions was initially successful, the intervention of Turkish standing army led to the dissolution of the rebel detachments. By the time the rebellion had started, many of its most promising leaders, including Goce Delchev, had already been killed, and the effort was tamed within eleven days. The survivors managed to maintain a semi-successful guerilla campaign against the Turkish authorities for the next few years. But the more important effect of the uprising was that it persuaded the European powers to attempt to convince the Ottoman sultan that he must take a more conciliatory tone toward his Christian subjects in Europe. » Athens and Skopje Discuss the Name "Republic of Ilinden Macedonia"